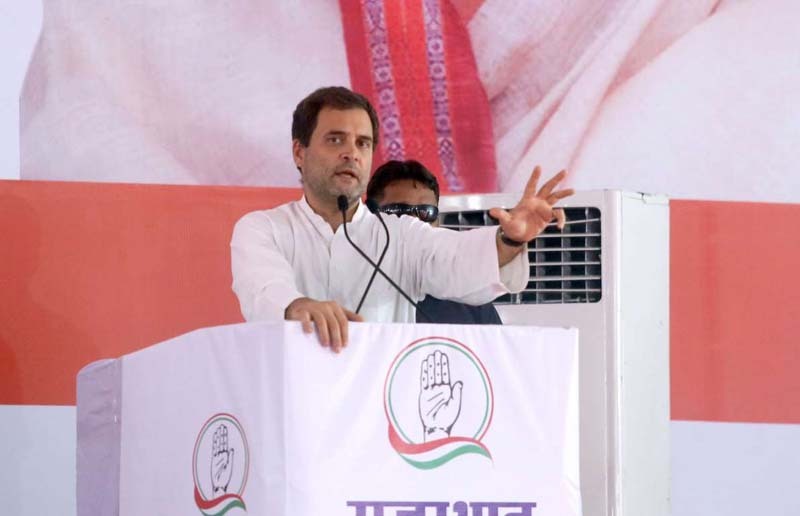 Congress president Rahul Gandhi had a word of caution for his party’s worker on Friday as Rajasthan and Telangana voted in the assembly election. “Congress party workers, be vigilant after polls close today. In MP, EVM’s behaved strangely after polling: Some stole a and vanished for 2 days! Others slipped away & were found drinking in a hotel. In Modi’s India, the EVMs have mysterious powers Stay alert! (Sic)” he tweeted. The Congress leader’s comment came after some electronic voting machines and paper trail machines in Madhya Pradesh reached the strong room 48 hours after the elections were held on November 28. These machines were meant as reserves and were not used in polling. Congress leader Naresh Saraf filed a petition in the Madhya Pradesh High Court seeking direction to set up a special investigation team (SIT) to probe alleged irregularities in the handling of reserve EVMs in Bhopal, Satna, Sagar, Shahjapur and Khandwa. He said in his plea that no separate facility was created to keep the unused reserve EVMs after polling was held. These were kept within the vicinity of EVMs used in polling in all the assembly seats, he alleged. The petition sought direction to the Election Commission to reveal the number of EVMs under the unused, reserve category. It also sought punishment for authorities for alleged dereliction of election duty. Senior Congress leaders Ahmed Patel, Kamal Nath and Kapil Sibal had also met Election Commission officials on Tuesday and raised a number of issues, ranging from EVM-related complaints in Madhya Pradesh. Earlier on Tuesday, Madhya Pradesh Congress chief Kamal Nath had also met the Chief Election Officer in New Delhi and demanded that EVMs be protected in a secured place and that counting is done in an impartial and fair manner.